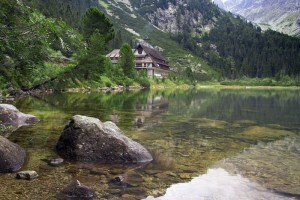 Book car hire in Slovakia at a lower rate. Compare holiday autos, SUV, MPV & minivans at reduced rental rates in Bratislava. We compare lower cost car hire rates for SUV, MPV, 7 seat minivan and estate rental in Slovakia. Our discounted prices include Airport Tax, VAT, road taxes, third party liability insurance, theft protection, a collision damage waiver and unlimited miles. We use the following companies:- Abrix, Alamo/National, Avis, Buchbinder, Budget, Europcar and Sixt, who all offer there usual vehicles, service and cover at a discounted rate through our site. Popular car rental locations in Slovakia include the cities of Kosice, Poprad, Nitra, Nove and Zilina. If driving to the northern terrain of rugged mountains, then best to hire a 4x4 rental Jeep. If staying in the southern lowlands, then choose from our wide selection of economy cars, that include the ever popular Fiat Punto Grande. Cheaper holiday auto hire for Slovakia had here. Slovakian vehicle rental made simpler. Pre-book bargain minivan hire in Slovakia. If need a little extra boot space, then a VW Golf Estate will be ideal. Tired of manual shift, then check out the all new Skoda Octavia automatic. If you are travelling as a group and need a vehicle that will seat seven or more passengers, we can offer the spacious VW Touran. For groups of nine people, then consider the Fiat Ulysse Van or luxury Mercedes Sprinter. Slovakia offers itself as a more relaxing alternative to its busy neighboring eastern European countries. Try Snow Steaming in Winter! - Can you think of anything more romantic than a steam train making it's way through a snowy forest on a Sunday? No? Then head to the Orava Railway. 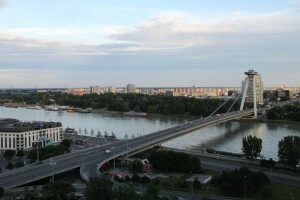 The largest city is Bratislava which is great for shopping and fine dining with many first class restaurants. Touring Slovakia by car will allow you the opportunity to go off the beaten track and explore the magical Slovak countryside. Mal Fatra Park is a testament to the the natural beauty of Slovakia. Dunajec Gorge is fascinating with lime cliffs that tower up to 500 meters. Need an automobile in Slovenia?